In almost every genre of music, vocals are the most important part of any mix when they are present. But they are also one of the most difficult elements to get “right.” With so many potential red flags that can make your vocal recordings sound amateur, it’s an important area to focus on in your mixing process. In this article, we’ll look at how to get great vocal sounds – from the source to the final effects chain. The first rule of thumb that I live by when working on vocals is to avoid corrective mixing at all costs. There are several ways you can do this. 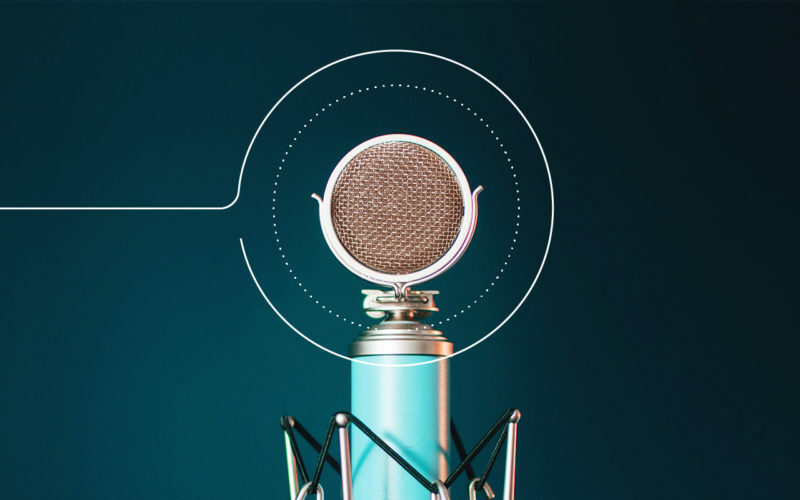 The first is to choose a microphone that gets you as close to the finished sound as possible. The microphone choice may vary based on the singer you are working with. When I record myself, I might use a very different microphone than I would use on a female vocalist, for example. Another way to avoid corrective EQ is to be picky when you’re recording. If you notice that a note is a little flat, or that there was a click in the background of the recording – do it over. Although you may not always have that luxury, it’s important to be attentive during the tracking process to try and get the best possible performance at the source rather than to try and recreate it later. The difference that proper microphone setup and technique can have on the overall sound is astonishing. Spend time testing out the setup and dialing in your levels before hitting record – you’ll thank yourself in the mixing stage. Use a pop filter. Always. Make sure the vocalist is a good distance from the mic. I usually say about 6”, give or take. Have the singer back away on high notes and lean in on soft notes to try and keep the level consistent. Use a shock mount whenever possible – especially if the singer likes to tap their feet or move around a lot. A reflexion filter or similar device can make a huge difference, even in a fairly decent sounding room. Make sure your preamp level is appropriate. Not too hot or you’ll clip and get distortion, not too soft or you’ll end up with a noisy recording. I like to hit about 80% on the meters (or lights, depending on your preamp) on the loudest notes. (This is a subject all it’s own, and this blanket rule of thumb is just a ballpark). Now that you’ve got good source material to work with, let’s define what makes a vocal mix great. There are a few key elements to every great vocal mix. Consistency in the level, timbre, etc. is a definite sign of a good mix. In most genres, pleasantly crispy vocals are desirable. And finally, appropriately wet/dry vocals make a big difference. This applies to both the dynamic and spectral domain. A smooth, consistent mix sounds more professional and often clearer than one that jumps around in levels. One way to achieve this is to use compression in combination with performing a fader ride on the vocal track. This is where you write automation or adjust the levels of the vocal track to create a smoother performance. If the singer gets really loud for a note, automate the level of the track down for that note. If they trail off at the end of a phrase, pull up the volume a bit to compensate. In the spectral domain (where you are dealing with frequencies and EQs), it’s also important to have consistency. Often times, in my tracks, I record the vocals across multiple days. Sometimes even weeks or months apart. So, it’s important that I account for that to make sure the sound from verse to chorus to bridge sounds consistent. I may use an EQ to brighten up the bridge if it is darker than the verses, etc. There are two types of crispy, and only one that you want. One of the tell-tale signs of an amateur vocal mix is a dull vocal track or overly hyped vocal track. This can be achieved a few different ways, as I explain later in this article, but the point is that you want to make sure your high end (let’s say 6kHz and above) is present and in check. A combination of a de-esser and EQ is a good place to start. One of the first mistakes every producer/engineer makes is to think that “more reverb = a better performance.” However, this doesn’t usually work out as planned. Sometimes, you will want a really washy sound with lots of reverb and delay. But it’s important to make sure that your vocals aren’t getting washed out (unless of course, that’s what you’re going for.) Most pop vocals are actually quite dry and in front of the mix. If you find yourself mixing on headphones, it’s easy to add too much reverb. Make sure to check in multiple listening environments to dial in the right amount of verb. I start with two compressors. I really like Native Instruments “Supercharger GT” because it has a “Bright” mode that gives the vocal a nice high end to it. I use just a little bit of this compressor. Then, I run it into Waves RVox, which is a bit more of an aggressive compressor. By using two compressors back to back, I get a more natural sound than if I were to try to get the same amount of compression out of just one compressor. Two compressors working at 50% sounds better than one compressor working at 100%. Next, I always de-esser my vocals. With all of the compression, the sibilance can get out of control, and this helps to tame it back a bit. I use just enough to where it still sounds natural, not lispy. I usually send one or two sends out to reverb return tracks. One reverb is a short, natural room sound, the other is a plate with a bit longer of a tail. This blending approach with the reverbs livens up the track a bit. Then, depending on the song, I’ll usually send out to a delay as well. The delay settings vary based on the track and the groove of the song. Finally, I send all of my vocal tracks to a bus and use some light compression on that bus. I usually use iZotope Neutron for this. Sometimes, I’ll even EQ the entire bus if I want to shape the sound further. The absolute best advice I’ve ever received and could ever give about mixing is to listen, and not think. It’s not about what the controls are or what settings you use, or even what gear you use. It’s all about how it sounds. Focus on making your recording sound how you want it to, and you’ll figure out the technical details along the way. What does your vocal chain typically look like? Any favorite plug-ins I should check out?